What a great week in the Small Biz Thoughts Community! We're continuing to add content all the time. This update News Broadcast goes into some detail, but here's the quick list for the last week. 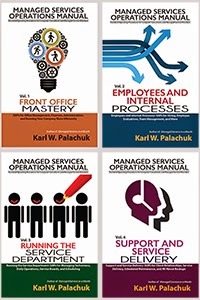 There are now three out of four books from the 4-part SOP series available as audio downloads in the SBT Community. So if you've signed up at a member, go download them now at NO additional charge. Also: It looks like the new Mini Class is very popular. We have ten members signed up (no additional charge) and a handful of folks have paid the $99. I've emailed out the information needed to access the Zoom meeting Wednesday. If you're signed up and don't have the info you need, contact us. Members access the class here. Non-Members buy the class here. First - Handouts. I've posted a brand new 14-page Technology Roadmap Questionnaire. It's a much better deep dive into the client's business than the older questionnaire. I've also posted a four-page white paper on how to get the most out of the Client Roadmap Process. Week One is an overview of the process and a deep dive into the questionnaire itself. Why do we ask these questions, where do they fit, and why do it in this order. We'll also talk about why you shouldn't worry about finishing all questions. You probably won't, and that's great. I'll explain in class. 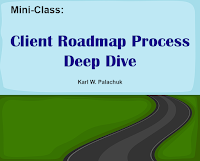 Week Two, we'll talk about the using the Roadmap Questionnaire to close new clients. 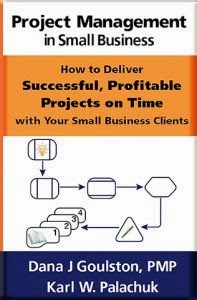 It's a very smooth transition from the 68-Point Checklist and a network assessment to a discussion about the client's business more broadly. We'll also touch on the first Roadmap meeting after you sign the client. Week Three covers the ongoing, never-ending conversation you'll have with your clients about their technology. You'll see how we use this to get the client to engage in the overall health of their network, to make good decisions, and completely sidestep the sales process going forward. Get sticky. Make clients love you. Improve their technology. And eliminate ongoing "sales" while selling lots of great stuff. It's not quite magic. But it's pretty close.